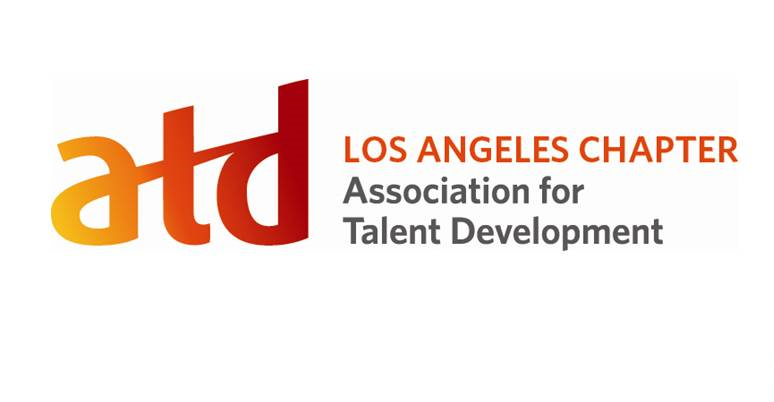 Welcome to ATD-LA’s LearningPro E-Zine, your resource for articles on a variety of talent development topics. Authors/Contributors: Are you interested in contributing as a writer for the ATD-LA LearningPro E-Zine? Click here for more info. My friends were paperboys when I was in 4th grade. After all I had hoped for and dreamed of in life, is this all there was? For me, the experience of being a grown-up paperboy was one of those unpredictables; it just happened. I never dreamed about delivering the newspaper at 5 a.m. during a Christmas morning blizzard, or getting stuck in a customer’s driveway in sub-zero temperatures. I didn’t dream of rising every morning at 4 a.m. seven days a week out of necessity to work an entry-level, blue-collar job. I never planned on praying for tips so that I could bring home some good news to my wife. If you was hit by a truck and you was lying out there in that gutter dying, and you had time to sing one song…One song that people would remember before you're dirt. One song that would let God know how you felt about your time here on Earth. One song that would sum you up. You tellin' me that's the song you'd sing? That same Jimmy Davis tune we hear on the radio all day, about your peace within, and how it's real, and how you're gonna shout it? Or... would you sing somethin' different. Somethin' real. Somethin' you felt. Cause I'm telling you right now, that's the kind of song people want to hear. That's the kind of song that truly saves people. If you’re anything like me, you want your song to be different, or at least true to yourself and who you believe you were created to be. You want to sing a song that saves people. And if you’re anything like me, you would never have guessed what it would take to get there. We all have defining moments in our lives where things take a turn and the courses of our lives are forever changed. In screenwriting terms these are called “plot points.” The big ones are obvious, but many others are subtle, completely unpredictable and only become clear in hindsight. I have heard that when you are in transition, the light is always behind you. Having transitioned out of my paperboy experience, one thing has become clear in the light: though choosing to be a paperboy wasn’t part of my plan, like many unpredictables we experience throughout our lives, being one had an immeasurable impact I wouldn’t trade for the world. Have you ever experienced one of those “something’s?” Something that happened that you didn’t plan for or expect, yet you can’t imagine life without? Maybe it was a child you weren’t ready for, a relationship that ended, an unexpected career transition, or even an illness. But instead of decreasing the quality of your life, this “something” actually enhanced it by making you stronger, kinder, more grateful, or simply better. I’ve heard that the hottest fires make the hardest steel. Interestingly, most of these hot fires come as a result of the unpredictables – and for good reason. Let’s face it: few of us would enter the fires voluntarily. But when we’re forced to face the heat, we become refined, purified, and stronger as a result. Most days, being a paperboy was a mental, emotional, and physical struggle. Yet it changed my life by making my vision clear and providing me with the tools I needed for the rest of the journey. Wilma Rudolph was born prematurely in 1940, the 20th of a family of 21 children. At birth, she weighed 4.5 lbs. As a child, her left leg and foot were twisted due to infantile paralysis. Additionally, Rudolph twice contracted double pneumonia, as well as scarlet fever. To straighten her twisted leg and foot, she wore a brace for three years and made regular, 45-mile trips to Nashville for treatment over the course of six years. Her determination as a child was relentless. Against her doctor’s (and parents’) orders while at home, she often removed her brace and attempted to walk around the house. She eventually built enough strength to walk brace-free, and quickly took advantage of her new found freedom. Rudolph’s determination reached a peak in high school, where she began to excel in basketball as well as track and field. After her childhood challenges, Rudolph accomplished the unimaginable by setting scoring records and leading her team to the state basketball championship. If her story ended there, “miraculous” would be a fitting way to describe it. Yet at age 16, she continued her success streak, earning a bronze medal at the Olympics – an incredible feat. But Rudolph didn’t stop there. Four years later, she won three gold medals at the 1960 games in Rome – setting three new records – and was the first woman ever to win three gold medals in track and field. When we view challenges, difficulties, and struggles as avenues to growth, the effect is empowering instead of debilitating. As Maya Angelou said, “I can be changed by what happens to me, but I refuse to be reduced by it.” I realized that being a paperboy did not need to define me; it was simply a means by which I could earn a living for a season of life. Sometimes hearing about another’s situation or struggles is exactly what we need to put ours into perspective, and can empower us to interpret our circumstances in a positive light. The best changes in our lives often do not consist of a change in circumstances, but a change in perspective. In the first article of this three part series, we discussed the definition of cultural intelligence. As a reminder, it means that the individual has successfully absorbed the cultural nuances of other foreign cultures with the ultimate goal of facilitating positive outcomes and effective cross-cultural negotiations. In this second article, the discussion continues regarding the four components of cultural intelligence – meta cognitive, cognitive, motivational, and behavioral cultural intelligence (Earley & Ang, 2003, as cited by Imai & Gelfand, 2010). When individuals want to engage in cross-cultural business, they must first learn about the basic facts of the unfamiliar culture, including its demographics, customs and traditions, religion, history, and beliefs and values. It is near impossible to be successful in cross-cultural negotiations or to be a successful global business leader without the acquisition of basic facts and knowledge about unfamiliar cultures. Once the individual has absorbed as much knowledge as possible about the unfamiliar culture, he/she must devise a strategy to assess his/her knowledge. The assessment strategies include asking a friend, family member, or colleague to ask questions about the facts that have been learned and to score the individual based on the number of questions answered correctly. Another strategy could be using a question about a consulting venture in a graduate business text book and transfer the location from the United States to the country that the individual has been studying. People who employ superior cognitive processes to study/engage new cultures and have strategies in place to assess their knowledge are said to have high meta-cognitive cultural intelligence (Earley & Ang, 2003, as cited by Imai & Gelfand, 2010). When an individual is able to use the knowledge acquired in the meta-cognitive level to decipher differences between cultures, that individual has acquired cognitive cultural intelligence. For instance, being familiar with the nuances of a culture that is individualistic like the United States (emphasis on the individual first, not on the group that he/she belongs to), he/she can then differentiate that culture from one that is collectivist (emphasis is on the group and its success first and the individual second). This component of cultural intelligence represents an individual’s ability to use the basic facts acquired in the meta-cognitive step to distinguish between the differing norms, values, beliefs, and attitudes of unfamiliar cultures (Imai & Gelfand, 2010). When an individual has learned and now knows which countries are collectivist or individualistic, it becomes easier to place specific countries in blocs along with the dos and don’ts of intercultural relationships between members of the groups. Learning about new cultures and being able to use that knowledge for more effective judgments and better decision making, is by itself, not sufficient for success. Individuals have to put in conscious effort to use that information to engage business partners in the new culture for success. Usually, motivation is the link between having knowledge of cultural differences and actually using that knowledge to engage others in a new culture. Imai and Gelfand (2010) referred to this as the intrinsic motivation and self-efficacy that is necessary to propel individuals with cultural knowledge to go out and engage new cultures. I know a lot about the culture of most Asian countries. This is information that I picked up from several classes (both masters and doctoral studies) on cross-cultural organizational behavior. With this information, I can decipher between the Chinese culture and Philippine culture. However, all of that will not help me succeed in cross-cultural business unless I am motivated to practice and use the information during negotiations. Motivation is critical. When individuals have amassed a large arsenal of behavioral skills that enable them to indulge in verbal and non-verbal behaviors that are appropriate and acceptable in the new culture, these individuals are said have acquired behavioral cultural intelligence (Imai & Gelfand, 2010). These behavioral skills are developed from accumulation of knowledge and practice (both in simulated and real world experiences). Being prepared to work hard to gain the trust of the foreign-based organization. When an individual is able to do these things effectively, he/she has acquired high behavioral cultural intelligence. So how do we learn meta-cognitive cultural intelligence? How do we acquire cognitive cultural intelligence, motivational cultural intelligence, and/or behavioral cultural intelligence? These questions will be answered in the next and final article in this three part series. When riding a mountain bike through a treacherous section of trail, an experienced rider focuses on the line the bike must take through the rocks, ruts, and obstructions. The mental focus must be intense, willing the bike along the line that will take it through the section. Even an instant’s thought of what could go wrong or the consequences is enough to break the concentration, shake the confidence, and send the rider tumbling down the mountainside. It’s focusing on what you want to happen that makes it happen. Your audience tends to go where their minds have been aimed. Programming those minds with mistakes and fears may only weaken your message of how to do things right. Dwelling on the consequences can frighten your audience into believing the less they do the safer they become. This concept has become an accepted tenet in training, leading to wide agreement that modeling only correct procedures and behavior is the best approach in most situations. Why clutter the minds of your audience with things you never want them to do? Audience recall is never perfect and, after experiencing some e-learning, it’s possible that an audience may remember only the vivid image of something being done incorrectly, rather than the admonition, “Don’t do it this way.” The fine points are often forgotten, so all that’s retained is “This is what I saw in the training,” and on that association they assume it’s right. So by planting a negative image that was imperfectly remembered, your training can actually make matters worse. Sometimes it is necessary to point out common problems, but you can do so quickly or verbally, or by showing only the consequences without modeling incorrect behavior; then cut straight to demonstrating the behavior that will prevent those problems. In some situations, particularly in sales and management training, it may be helpful to debunk common misconceptions or show the negative consequences of what people may think is the proper thing to do. Humor can be helpful here. By showing how ridiculous the character who acts this way really is, your audience may then notice themselves doing the same thing, recognizing that they are being just as silly as the character in the e-learning. The deciding factor is whether the audience is already practicing the behavior and possibly unaware that they are guilty of it or that it’s hurting their performance. By showing only a parody of this behavior, your training’s not introducing them to any bad habits they don’t already practice. A dire warning about head injuries will probably do more to alienate athletes than excite them. But if they can hear top players talking about being more aggressive when wearing protective gear, that’s what every competitor wants to hear. So glamorize it. Show how cool it can look. Rather than dwelling on the messy, inefficient office, show people enjoying the extra time they’ve earned by using your product or adopting your techniques to clean up that mess. Another problem with showing negatives is that negative images are often so powerful that your message becomes associated with them, regardless of what you may then attempt to do to position yourself as the alternative to that image. When designing product training to introduce the sales force to a men’s cologne targeted to more sensitive-type guys, I opened with a put-down of macho meatheads and pin-striped clones. The imagery was so strong it overshadowed the message that this new scent offers a refreshing alternative. I lost the job. Safety and human services training is particularly prone to wallowing in the negative. The broken bodies beside the road and heart-wrenching poor little crippled children are familiar to most of us. What do these images do to an audience? They make the audience uncomfortable. The audience wants it to stop. One way an audience can “make it stop” is to heed the message of the e-learning and attempt to change the world, knowing full well that the best of their efforts will only lessen the problem. The other way to “make it stop” is to simply turn off mentally ignore the training. It’s quick. It’s easy. It isolates them from the problem completely. Which do you think most audiences choose? Sure, you have to make an audience aware of the problem and its consequences. But how much argument does it take to convince people that poverty, senseless slaughter on the highways, or crippling diseases are bad? How many people in your audience are actually advocating death and suffering? Is your goal to beat them over the head or to motivate them to start solving the problem? A problem-solving approach would be to show the gratification, sense of belonging, and power to change things that those who are doing something about a problem enjoy. Invite your audience to share in this joy and accomplishment, meeting people they will be proud to know. Show how people who enjoy life are able to prevent drunk driving or deal with other social problems. Show the action you want them to take; show the rewards. Scolding and dwelling on the horrors may help swell the self-righteousness of the already-converted, but will remind others only of why they would just as soon not think about it. Negatives don't motivate. You'll never hear cheerleaders shout “Don't lose the ball,” or “We're not losers.” They yell out what they want to happen, which is exactly what e-learning needs to do. Give your audience a goal. Show them how to do it. Give them an image to envision, that of being confident and successful. It’s easier and more effective for your audience to copy success than to repress failure. John Morley is the author of Scriptwriting for High-Impact Videos, and an instructional designer working with Kaiser Permanente. He can be reached at John@OriginalVision.com. Like many learning and performance consultants, I find myself travelling abroad increasingly. Since the Great Recession, demand for training has gone up overseas while declining in the U.S. I enjoy travelling and seeing the world, especially on someone else’s dime, so I take assignments in many parts of the globe, including East and Southeast Asia, Middle East, North and South Africa and Latin America. I am also always a little paranoid about international travel and for good reason. When training abroad, many things can go wrong. As Murphy’s Law instructs, it eventually will. So I’ll share some tips that I learned the hard way which I find work for me when training internationally. Learn as much as you can about the client and the country before even accepting an offer. Make sure you can trust the client who hired you, because if they don’t pay, there’s a long line at the International Court of the Hague. Read up on the country and the city where you will be staying. A good tourist guide is a starting point. Learn a few phrases in the native language. The people you interact with in the foreign land will appreciate your effort. Prepare a checklist for your trip of all the materials, technology, clothing and personal items you will need. Make travel arrangements about 3 weeks in advance for the best deals. Clarify all local travel arrangements with the client prior to departure. I once had an assignment in the Middle East and I thought the client had booked my hotel. When I arrived, I discovered they were sold out and I didn’t have a reservation. Turns out the client thought he was merely recommending a hotel, not booking it. Pack extras of all essential training materials and carry them with you, in case your luggage is delayed. Ship as much ahead as possible or use digital files. Designate someone back home who can send you things in an emergency. Despite your best laid plans, things happen. Personal flexibility is a great asset when traveling, as is an open mind. After arrival, meet the client post haste. Continue building the relationship you began virtually, because this person(s) is the key to a successful engagement. The person will troubleshoot problems, make arrangements, and hopefully recommend things to do. Once in the class, I make every effort to meet participants individually and get to know them on a personal level. The business card exchange ritual is a good time to do this. Find out something interesting about each person and remember it. Most countries have a much higher relationship culture than the U.S. The relationships you create will buy you goodwill and enrich your experience. Find out about the English language skills of the audience and be prepared to speak more slowly and distinctly to be understood. Avoid American slang and clichés and speak standard English. Bring a good ear too, since understanding foreign accented-English can be a challenge. Use many visuals and summarize key points in your slides; most foreign speakers of English can read better or at least as well as they can interpret the spoken word. Be sure to explain any references to U.S. culture, customs, or laws, since these may not be known. Relate content to the local context and check with participants frequently for relevance to their environment. Be sensitive to the local customs. You may have to adjust the schedule to accommodate prayer, banquets, ceremonies, afternoon tea, rush hour, blackouts, or the occasional coup d’état. I have found that humans everywhere enjoy being engaged in their learning. Keep lectures to a minimum and emphasize discussion and activity. Small group work is a hit in cultures with high relationship behavior. They can also converse in their native language and often process the learning better this way. Avoid calling on individual participants who might feel put on the spot. I prefer to ask for volunteers or use open-ended overhead questions to stimulate a discussion. Inject fun and humor into the course and people can’t help but feel good about the program and about you. I bring chocolates to hand out at afternoon break and as prizes. They are invariably a hit. If you want to join the ranks of the ex-pats and pros in our profession, immerse yourself in the culture. Get out of your five star hotel and into the streets. Walk the malls and observe the people. Go into the shopping and nightlife areas and experience the culture first-hand. Read the local newspaper and watch the local news. I have found the best approach is to be a cultural chameleon - be part of the culture while you are in it. The old cliché still rings true – when in Rome, do as the Romans do. If you find some way to connect yourself to the local scene for however brief time you are there, you will come home with a broadened outlook on the world that no amount of reading and studying can ever replace. You may also find, as I have, that some of your very best friends live in those faraway places that training summoned you to visit. Donald J. Ford, Ph.D., C.P.T. PERFORMANCE-BASED COMMUNICATION: Getting Your Audience to React the Way You Want! Close your eyes. When you hear the words great communicator, whom do you think of? Whose faces do you see? Which voices do you hear? Perhaps your list included politicians or public figures like Ronald Reagan, Barack Obama, Winston Churchill, or Martin Luther King, Jr. Or you might have gone in a different direction listing corporate executives like Jack Welch, Steve Jobs, or Suze Orman. Others might have chosen media figures like Oprah Winfrey, Bill Maher, or Tony Robbins. They are among the list of people often considered great communicators. While many have the desire to emulate them, there is a common misconception that great communicators are simply born with the magical ability to move people with their words. Great communicators certainly make it look easy. But like any top athlete or brilliant opera star, most are not born. Rather, they’re made through disciplined practice and hours of hard work. They also spend focused effort learning great communication tools and techniques and never stopped honing them. When great communicators speak and they’re “on,” they are perceived as what we call the 5Cs - clear, concise, confident, credible, and, especially, compelling. But they have something extra, some spark that makes them more engaging or dynamic than those who are just very good communicators, or even great ones. You may think it’s their self-confidence or their ability to tell a story, their facial expressions, body language,e or maybe their voice. The reality is it’s never one thing alone that makes a speaker engaging in the audience’s eyes, whether that audience is a boardroom full of investors or someone’s in-laws at a dinner party. It’s the combination of the skills mentioned above, but there’s something else that helps them attain the mysterious combination of passion and confidence that results in charisma: the activation of the communicator’s secret weapon – a strong and specific intention in pursuit of a clear and tangible objective. The objective is what you want or need from your audience after the speech or presentation. The intention is the strong focused aim and delivery of that message that will help you pursue and ultimately achieve that objective. The burden of engagement always lies with the speaker. As Stella Adler, the legendary acting teacher said, “When you stand on the stage you must have a sense that you are addressing the whole world, and that what you say is so important the whole world must listen.” It is the speaker’s responsibility whether running a meeting, presenting material, or sharing a story to engage the audience so fully and completely with what you are saying and how you are saying it that, at any given moment, you could literally hear a pin drop. A strong objective and intention can help you achieve that level of engagement. Sadly, that often isn’t the case with most business communication. People across all industries consistently bemoan the poor communication skills of the individuals within their organization, from entry-level employees, all the way to the C-suite. Complaints include lack of credibility and assertiveness, low levels of enthusiasm, unclear messaging, and more. Consider how many meetings you’ve attended, presentations you’ve sat through or stories you’ve listened to and wondered why you were meeting, why you should care, or when the meeting would end. Experts estimate that the average business professional attends a total of 61.8 meetings per month or more than three meetings per day. According to the National Statistics Council, 91 percent of professionals admit to daydreaming or even falling asleep during the meetings or presentations they attend. Without engagement, which is defined as when an audience is in a willing state of attentiveness, effective communication is not possible. It doesn’t matter who you are or what topic you’re discussing, if your message does not hit its intended target, you will have fallen short of the mark as a communicator. Anyone tasked with delivering a message to others knows, you need to penetrate your audience to make an impact on them. You must engage them if you hope to persuade them. We all know a great communicator when we see one, the individual that captures our attention, rouses our emotions, or compels us to take action. We are drawn to those people, personally, professionally, and in some cases publicly. The key to becoming that kind of communicator involves using the congruent, intention-based delivery skills that actors have used for centuries. Just like an audience’s satisfaction and opinions of every movie or play are ultimately influenced by the delivery of the script, so it is in the boardroom, conference room, or offices. The key to success is to communicate your intentions clearly by using your whole body to deliver that message and get your audience to react and do what you want. Because those that have a strong objective and a clear intention are usually the most influential. Don’t miss out on the opportunity to learn more at the June 2012 Chapter Meeting that Gary is facilitating! Check it out at: www.astdla.org. Movies are typically about a hero and a problem. The setting may be war, Wall Street, or the 1950s in the South, but the story is about people. By focusing on a story about individuals an interesting thing happens: Not only is the audience much more involved, the film's statement about the setting or situation is made more powerful. Bull Durham has been called the best picture ever made about baseball. It is really a love story, baseball only provided the backdrop and sub-plots. This open secret for engaging an audience, known to all successful screenwriters, can also be applied to e-learning: focus on the impact for one or two people. Give your learners a way to relate to your content. Rather than giving a demonstration about management techniques, show how an employee and her supervisor resolve a problem. Rather than offering product training that lists features and specifications, show how a product or service changed an individual's life. While showing how it's done, show an individual who benefits, while contributing to the benefit of others. Singling out a person to demonstrate universal truths is a technique pre-dating written language, and is still more potent than any amount of special effects and snazzy graphics. Though a dramatization is the obvious format for people stories, any format can be enhanced through demonstrating how your message affects people. Interviews are more effective if the questions center on personal experience or add insight into someone else's experiences undefined rather than depending on opinion or abstract facts. Even in a straight voice-over, with no specific reference to the personalities on the screen, a picture story can show specific individuals in a story that applies the ideas or techniques you discuss. Example: For sales training on a national court-reporting network, we opened with a lawyer fielding several problems over the phone. During the show, the narrator explained all of the network's benefits, while the visual demonstrated how those benefits solved all of the lawyer's problems that were introduced in the opening. Sparse use of sound bites from telephone conversations increased the sense of urgency, introduced a touch of reality, and filled in the details we couldn't demonstrate visually. More than a parade of features and benefits, the e-learning became a story of a person solving previously insurmountable problems. Content can be broken out into separate e-learning segments. Vignettes can alternate with commentary on what was just dramatized, or establish the problem that your product or service can solve. The critical thing is to give your audience someone with whom they can identify. One specific example, that's emotionally involving, has more power than any amount of reasoned analysis. Several years ago, as an MBA student (the course was External Environment of Business), I was part of a group (there were three groups in all) tasked with developing a plan to introduce a U.S made and FDA approved pharmaceutical drug into several developing countries. We were to assume that we (the United States) were competing against other drug manufacturers from Asia and Europe. Essentially, we had to develop a sales strategy that we would use to negotiate with and penetrate the market in these developing countries (cross-cultural negotiation). Sounds like a simple enough project? It was not. The results from all three groups were fundamentally flawed and filled with error. The problems were not with expertise, experience, or educational background of the group members. The problems stemmed from a lack of intelligence about the cultures of the economies/countries that were assigned to the group. In other words, none of the groups had adequate knowledge of the cultures of the developing countries. It was also clear that the groups believed (erroneously) that putting together a world class proposal would make up for the lack of cultural knowledge. In particular, the proposals did not address the perception of the potential consumers of the product, including how to dispel suspicion about U.S. made drugs. A case in point – polio vaccines made in the U.S. and Europe were rejected due to suspicions that they were actually drugs designed to sterilize men in the Muslim dominated part of a large West African country. This resulted in a polio epidemic several years later. In addition, the proposals did not address who was the target market – government, private sector, traditional rulers/monarchs, local doctors (who will prescribe the drug), or patients. This is critical because all these groups have subcultures that play an important role in successful cross-cultural negotiation. A lack of adequate cultural intelligence about these subcultures may result in a failure of the business endeavor. One look at the source of information about these developing countries told the whole story. The groups relied heavily on books (mostly outdated) written by local American writers and information found on the websites of the embassies of these countries available mainly for vacation destination advertizing. The problem is that without cultural intelligence that is up-to-date and accurate, it is virtually impossible to engage with people that have different cultural orientation without employing stereotyping – and that does not work successfully. So what exactly is cultural intelligence? When an individual is culturally intelligent, it means that the individual has successfully absorbed the cultural nuances of other foreign cultures with the ultimate goal of facilitating positive outcomes and effective cross-cultural negotiations (Imai & Gelfand, 2010). It important to emphasize that cultural intelligence is critical, not only for cross-cultural negotiation, but also for cultural diversity in the workplace. Becoming culturally intelligent is a development and learning process that involves understanding and using the four levels of meta-cognitive, cognitive, motivational, and behavioral components to enhance decision making and improve performance (Imai & Gelfand, 2010). Stay tuned for the second article in this three-part series, for information regarding these four components of cultural intelligence, and how they can be used as a four-step model to teach cultural intelligence. The soapy, wet rags slapped my front windshield as I drove into the carwash. Instantly, my 90-pound German Sheppard leapt from the back to the front seat. His big brown eyes screamed at me, "Dad, what's that?" “It’s okay Comet." I stroked his head as the car darkened. Within seconds those gigantic brushes attacked the car from all sides. Comet scrambled onto my lap, shaking. His eyes, glued to mine, cried “I’m not okay!" I held him tightly, stroked his head, and sang our song, "That's our good boy Comet; Comet is a good boy..." He stopped shaking and calmed down. Comet was able to handle change because I gave him stability. And the same is true for all of us. When we experience any change, researchers tell us that we tend to search for stability. So, instead of asking, "How can I get others (or myself) to change?" we should ask, "What can I give them (or me) to hold as I ask them to change?" One of the best ways to help others feel secure during changing times is to communicate what the change is, why it’s important, and who supports the change. These issues were addressed by a client of mine in their Vision for Change document that I helped them write. At a recent Town Hall meeting, a few of their top executives highlighted key sections of this document in order to give everyone a bit more stability during their major initiative called, Business Optimization Program (BOP). What is the BOP Vision for Change Document? Why is the BOP Vision for Change Document Important? The COO asserted that the Vision for Change document is important because it makes an excellent case that “the status quo is more dangerous than the change.” He highlighted a few of the scenarios in the document that demonstrate why many current inefficient processes can no longer be tolerated. He concluded by showing the last page of this document – the signatures of all the executive team members and vice presidents in the organization who support BOP (all of them!). Who Benefits from Achieving the Vision for Change? So, next time you feel like you’re on shaky ground because there’s too much change, look for something to hold onto. Maybe you can create a document that communicates what the change is, why it’s important, and who supports the change. How surprised will you be that you can handle change because you manage stability? The Learning Blender by Donald J. Ford, Ph.D.
Learning methods and delivery options are multiplying. To get the most learning for their investment, organizations and individuals are seeking blended learning solutions that combine a variety of delivery options and learning methods that create a buffet of learning for all palates. To avoid a blender blowout while creating exceptional blended learning, it is important to know how to blend various learning ingredients to accent the individual advantages of each. Focus attention on the subject matter; learning cannot occur without full attention (just as our teachers admonished us as children). Activate prior knowledge of the subject matter and connect to the current learning. As adults, our long-term memory of past experience supports our current learning for new associations. Manage the cognitive load on our working memory with small, digestible chunks of learning (approximately five to seven items at a time). Our limited working memory can easily become overloaded, leading to forgetfulness and incomplete learning. Promote retention in long-term memory through practice as we remember the things that we experience and do repeatedly. Find opportunities to rehearse new skills to help us retain the learning over time. Retrieve new knowledge when needed through testing, recall tools, job aids, and reference materials. If we cannot recall our new knowledge, the learning becomes useless. Given these key learning principles, blended learning can provide multiple opportunities, through multiple sensory inputs, for learners to experience new knowledge and skills. With different exposures to learning types, our knowledge accumulates and our retention and retrieval of the new knowledge improves. As an example, consider the roll-out of a new computer database. The traditional way of learning the new system would involve scheduling all users for a one- or two-day class with intensive experience of the new system through demonstrations and hands-on practice for 12-16 hours. This type of learning experience typically leads to cognitive overload, limited skill practice, poor retention, and poor retrieval when employees start to use the new system on the job. A blended learning alternative might start with the use of social media to introduce the new database and the organization’s rationale and goals for the new system. This gets people to start paying attention and buying into the idea. Next, an online self-paced tutorial could give a high-level overview of the new database with explanations about how it differs from existing systems, what its features and benefits are, and the plans to implement it throughout the organization. This information helps to activate prior knowledge and continues to build attention and support. Third, users might be brought into a classroom or learning lab for hands-on demonstrations and guided practice in the key elements of the new system, under the guidance of a database expert or systems trainer. The classroom time could be substantially reduced from the two-day class of old by focusing on high priority tasks while using online tutorials to cover more detailed and less important aspects of the database. Finally, users could receive job aids in the form of checklists, step-action tables, flow charts and on-line technical references to improve retrieval on the job. This learning could also be supplemented by using job coaches to assist employees individually who are still having problems learning the new system. It is clear from this example that blended learning can combine the advantages of different learning modalities while mitigating their respective weaknesses. This results in more effective learning that has a higher likelihood of impacting the organization positively. What Are Some Favorite Blends? While blended learning has many advantages, it also presents challenges to learning professionals. If we blend learning in the wrong combinations, we may actually undermine our very purpose and produce worse results than a classroom-only approach. For example, if we use online tutorials to overwhelm participants with massive amounts of static knowledge (aka “e-reading”) or use classroom time to lecture ad nauseam about “nice to know” but largely useless knowledge, we will produce little or no learning. We also leave employees struggling on their own when they have to use the new knowledge on the job. As learning professionals gain more experience with blended learning, several blended learning models are emerging as best practices. Here are three that have demonstrated excellent results when properly implemented. The advantages of this model are numerous. It reduces classroom time, thus saving money on training delivery. It engages learners over a longer period of time and allows for greater individualization. Finally, it increases skill transfer to the job, which is the whole point of corporate training. When learning requires the acquisition of complex competencies based on tacit knowledge, a competency-driven blended learning model works best. This is based on the need to capture and transfer tacit knowledge from experts over a long period of time. Learners interact with and observe experts on the job. This model depends on a variety of learning events - online, classroom and experiential – spaced over time which is often supplemented by assigning mentors to learners. It also supports developing knowledge management systems as repositories of tacit knowledge that can be accessed when needed. Social networks can be deployed to create communities of practice within various disciplines to encourage knowledge creation and sharing. Blended learning is here and as a phenomenon is likely to have a greater impact on the way learning professionals work in the future. From mastering new technologies to creating new solutions and working in entirely new ways, blended learning offers the potential to revolutionize our field in ways we are only now beginning to grasp. So, go out there and blend some learning! Don’t be afraid to experiment with new approaches and learn from these experiences. After all, that’s what we ask our learners to do every day. One of the main reasons people seek out coaches is to drive accountability on some sort of pressing goal or ambition. I am a “recovering perfectionist” and I am certainly “Type A.” I love checking things off the list and feeling a sense of accomplishment. That said, many coaches miss the boat by only focusing on accomplishing goals. I have found that my coaching is most effective when I help clients focus on “the doing and being” while achieving important milestones. We can check many things off the proverbial “to do list”; who cares if we are miserable?! I define the “doing” as tactical steps that need to get accomplished in any given task. The “being” aspect of any task involves clarifying one’s mindset about how one wants to “show up” during that task or event. I ask clients to define their total intention and consider not only what they want to get at the end of the interaction, but how they want to feel and be perceived throughout. I partnered with a client who was preparing to turn in the second half of her thesis project for her master’s program. She had shared that she felt remorse and self-doubt after turning in the first half of the thesis and this sparked much negative thinking and judgment. My intuition told me that she knew all the tasks and tactical steps needed to prepare in order to send in the second half of the project. What was equally important was for her to get clear on the how she wanted to conduct herself during the preparation and delivery of the thesis. What kind of experience did she want to have? We did some perspective work where she played with a variety of intentions. She decided to play with a perspective she created that we called the “dancing perspective.” This included allowing for flow, movement, and recognizing when she needed to take a break after “sweating” from working many hours. She decided to choose Elton John’s classic song “Tiny Dancer” to help ground her in this perspective any time she did work on her thesis. She reported to me that this point of view helped her enjoy the experience. She felt calm and at ease as she prepared and sent in her thesis – success with both the doing and being of this important project! It is imperative to guide clients to set meaningful goals that align with their values and then focus on who they are being in the process. Ask them to consider their intentions and their mind-set. For example, let’s say a client is focusing on preparing for a job interview. She can have the perfect resume and be dressed to the nines; however, all her efforts will be for naught if she comes with a defeated attitude that screams, “I am desperate!” She will sabotage herself unless she considers her mindset during the interview. When I am helping clients prepare for interviews, I ask them, “Who do you want to be in the process? How will you define success other than getting the job? What does success look like in terms of who you are being?” Examples of intentions during an interview include: being one's authentic self, interviewing the company as much as they interview you, asking for what you want in terms of responsibilities and benefits, being curious, etc. Helping clients focus on the “doing and being” creates deeper experiences and helps them get results while enjoying the journey… What a concept! Rachel Karu, MS, ACC, is a professional and personal coach as well as an organization consultant specializing in training and development. She has more than 18 years of professional and personal development experience. With primary expertise in coaching and training people in the areas of intra/interpersonal skills, she provides counseling in areas including: career management, communication and listening skills, team effectiveness, life balance, value clarification, communicating boundaries, providing/receiving feedback, setting expectations, corporate leadership development and time management. To find more information on Rachel, please visit her website or join her on Twitter or LinkedIn.